After two-and-a-half years of tortuous negotiations that, at times, have reduced to the level of farce, the EU have this week offered us a deal. And what a deal it is: frictionless access to the world’s biggest marketplace for goods and the world’s only common market for services, free trade deal with 65 countries outside the EU with more coming on stream all the time – and a guaranteed say over any future proposals – a discount on budget contributions, access to the world’s biggest crime fighting databases, the indefinite right to stay out of the Euro or the Schengen area, freedom to travel, work and live in 32 countries and the opportunity to lead world beating partnerships in science and medicine and much else besides. The bonus is that we have automatic access to this deal and it has even been underwritten by the top European court. With this offer, there is no need to endure years or even decades of future wrangling as successive British governments struggle to revise a terrible blindfold Brexit deal, which is the only alternative. This deal is, of course, membership of the European Union. On Monday, the Court of Justice in Luxembourg ruled that the UK has the right not only to withdraw its notification of its intention to leave under Article 50, but that we can also keep every one of our current rights and privileges as a full member with a voice, a vote and a veto. In doing so, the court did just what so many of the ideologues of Brexit say it never does – stand up for national sovereignty and reject the argument from the EU’s institutions that they alone should have the power to halt the Article 50 process. But don’t expect to see any Brexiteer celebrate this notable victory for a Europe of the Nations. Instead, they have been put into deep despondency because it exposes whatever version of Brexit they are backing to even greater scrutiny and makes the choice – whether between Theresa May’s deal (which is at least real), any fantasy deal and our current terms of membership. The more the comparison between any sort of Brexit and our current status is made, the more support for quitting melts away. I have a confession to make here: I am not a neutral observer. In fact, I am one of the parties to the action, which began in the Scottish Courts and effectively ended in Luxembourg earlier this week. I backed the action not because I am looking for parliament to use its power to just pull the plug on Brexit – I recognise and respect the outcome of the 2016 referendum and the mandate it gave the government to negotiate a Brexit deal. I want to see parliament legislate for a People’s Vote and for the public to be given a final say between the Brexit deal – whatever dog’s dinner emerges from the increasingly chaotic negotiations – and our current deal as full members. The court ruling means that our side of that question, what you get if you vote to stay, is now crystal clear. It’s the pro-exit side of the argument who now need to sort out what their offer is. So far, the government is resisting the demand for a People’s Vote. It’s therefore likely that we will need the support of the other EU member states to extend the Article 50 process for long enough to hold a referendum. Yet it has always been clear that while there is no real prospect of such an extension being granted to allow any government – even one led by Jeremy Corbyn – to negotiate a fantasy Brexit, they have always been open to an extension to allow the people a final say on Brexit. 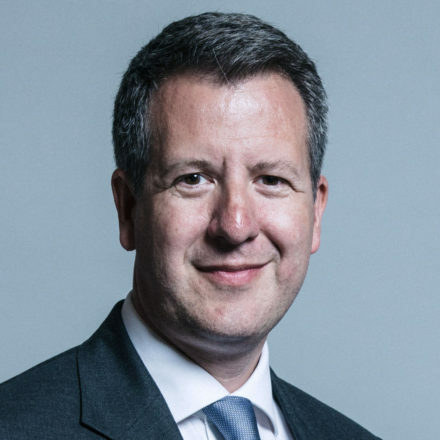 Chris Leslie is MP for Nottingham East.